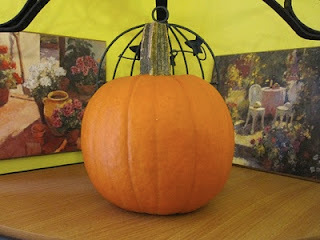 The Baker's Nuts: It's the Great Pumpkin Challenge, Charlie Brown. When I was really young my Uncle was the closest thing I had to an older brother. On one side of my family I was the oldest grandchild; and on the other I had a cousin about a year older than me. However, my Uncle was a teenager when I was born and when I think back to my childhood it is him I see as my big brother. I have many fond memories of us at my Grandmother's house playing games, rough housing, watching TV (The Duke's of Hazard and He-Man especially) and generally having a good time together; he even went out of his way to take me to the park or, if we were at the cottage, the beach. I was always excited to see him, and though he likely had things he would rather be doing, he still took the time to entertain his baby nephew. However, it wasn't all sunshine and lollipops. Like any big brother my Uncle took great pleasure in tormenting his young adorable nephew. Never before has the phrase “say uncle” been more appropriately applied then when he pinned me to the floor refusing to let me up. Worse still was the great pleasure he took tying my shirt sleeves behind my back and knotting my socks together. This left me squirming for freedom as he tickled me without mercy. And who could forget when he would emerge from another room wearing a horrifying monster mask and scaring me to no end? These were good times to be sure :). What about those visits to the park and beach? I was told when I was older that some of these trips were done with the insidious intent of using me to attract girls. I can understand why. You see my Uncle is a rather unattractive man, to this day I'm convinced he has my Aunt under some type of long term hypnosis (I kid, I kid :)). Fast forward to the present and he continues to be relentless in his torment (although I give as good as I get now :)). Easter this year was made especially memorable as he mocked me for using the term “Pate Brisee.” He even managed to draw my other Uncle into the fun, and they took turns making jokes and falling into fits of laughter. It is with this same malice and love of torment that he proceeded to show up a few weeks ago with a “gift.” I walk into the kitchen and he presents me with not one, not two, but THREE baking pumpkins! I gave him an evil appreciative eye while I contemplated the challenges he had just thrust upon me. What was I going to do with three pumpkins? As he stood there I could tell he was enjoying my reaction; a smirk on his face, revelling in what he had done. So it is my Uncle who is to blame for the glut of coming recipes featuring “pumpkin” in their title. You see I have accepted his challenge; I will scoop, bake, and puree pumpkin until there is no more. This time I have come prepared for his torment, dawning ankle socks and a t-shirt. P.S. 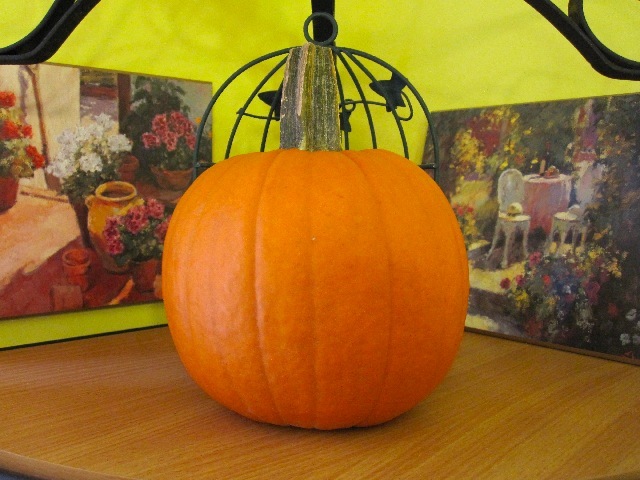 Thanks for the pumpkins :) and don't worry, you'll get yours :). Coke is it! I was waiting for a 'coke is it!' mention. Maybe if you were not such a bratty kid your uncle would have done better with the girls on the beach. You are making up for it now and the Great Pumpkin would be proud. p.s I stand by mocking anyone who uses the term "Pate Brisee" anywhere outside the kitchen.